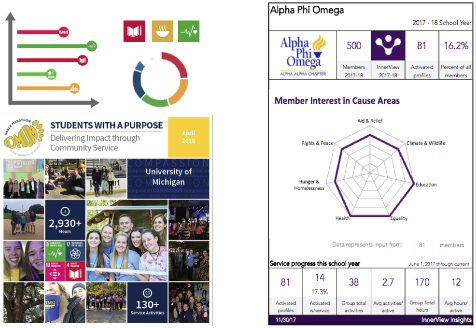 InnerView Student Leader Tools are designed to monitor progress of members, programs, and events. 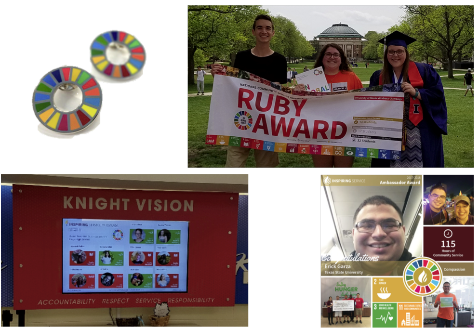 InnerView provides insights and recognition to expand as well as elevate service and connect local impact to the UN Global Goals. InnerView tools, support, services, data and insights have been designed to enable rapid progress and less time tracking. 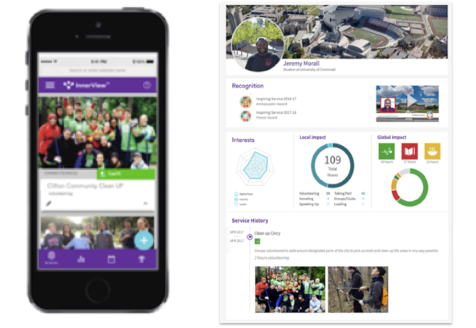 Members add service entries and check in at events through a simple mobile interface. Members have access to progress, impact and award attainment. Real-time data brings clarity to member and group progress without losing hours tracking down updates. 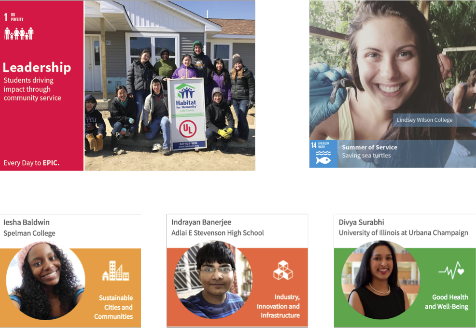 Access a dynamic pipeline of social good content for newsletters, social media and fundraising. Earn national recognition for your organization's impact. 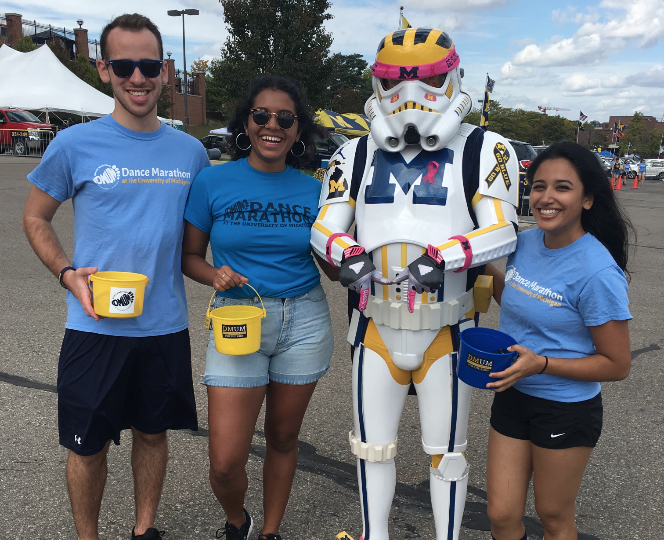 Promote and manage group and campus wide events to offer a broad range of experiences across the student service ecosystem. 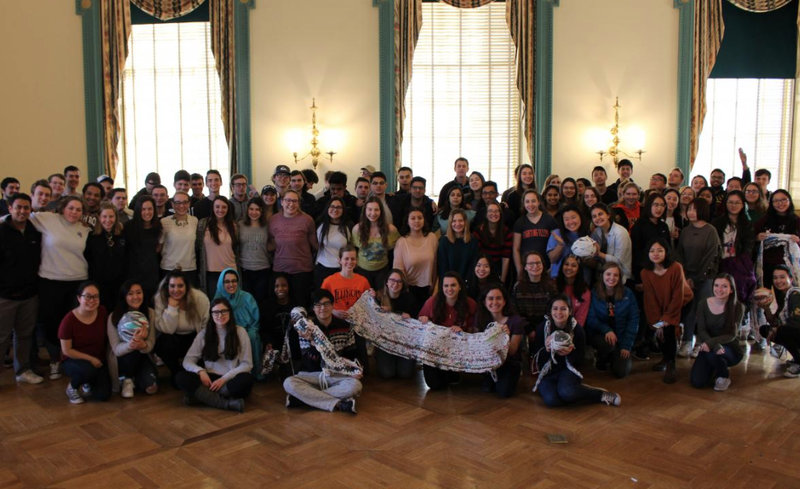 The University of Illinois chapter of Alpha Phi Omega and 18 members each earned National Recognition for their year-long dedication to service. 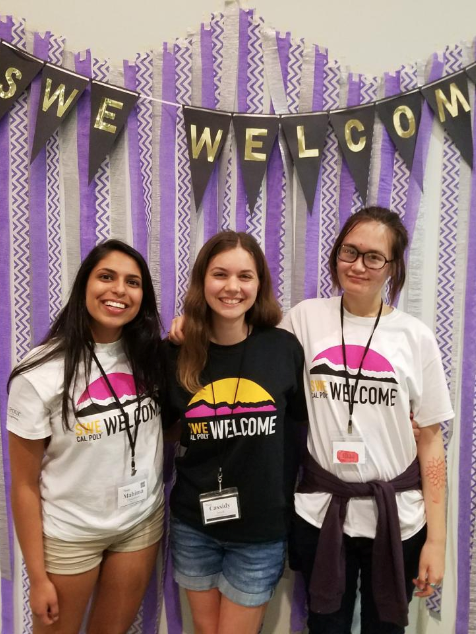 In addition to leading campus-wide plarning mat events, chapter members volunteered with local nonprofits, tutored refugees, and supported community and campus events. 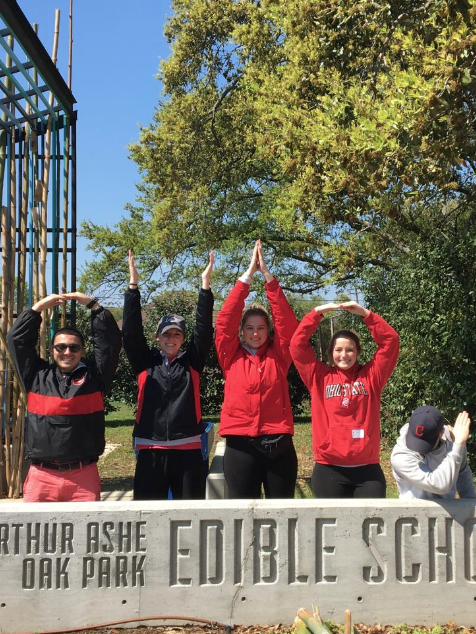 OSU's Alternative Break Program provides 80+ community service and civic engagement trips helping students to learn and lead through direct service. Student leaders earned National Recognition for their dedication to STEM outreach and professional development.